Dr. Montgomery was born and raised in northwest Iowa. He attended the University of Iowa where, after receiving his B.S. degree, he earned his D.D.S. degree in 1975. He then served as a general practice resident at the V.A. Hospital and at the University of Michigan in Ann Arbor. 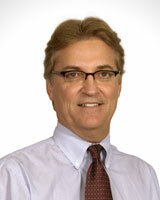 Dr. Montgomery returned to the University of Iowa where he received his Orthodontic Specialty Certificate in 1978. Prior to joining Orthodontic Care Specialists, Ltd., he practiced for four years in Iowa City. Dr. Montgomery’s interests include golf, cycling and other outdoor activities.